4-H, whose four “H’s” stand for Head, Heart, Hands and Health, is a nation-wide youth development and education program that helps youth ages 5-19 reach their full potential as competent and confident leaders who contribute to their communities. Programming is focused on three core content areas of citizenship, healthy living, and STEM (science, technology, engineering, and math), which means there is something for everyone in 4-H! • 4-H youth engage in experiential learning, carrying out projects such as building a robot, growing a garden, raising a chicken, or practicing public speaking, all while developing essential life skills like responsibility, critical thinking, and cooperation. • 4-H strengthens youth-adult partnerships. 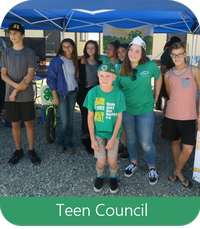 Adults serve as role-models that share their passions and interests as leaders of youth community clubs, members of county council, or volunteers for community programs and outreach events. • 4-H uses research informed programming. 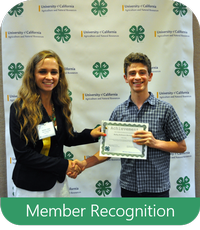 As part of the University of California Division of Agriculture and Natural Resources (UC ANR), California 4-H programming benefits from the efforts of researchers and educators advancing the field of positive youth development. "I like having the opportunity to lead projects and have a say in different aspects of 4-H and my community. I love getting to participate in community events and show what a good leader I can be." "I like that 4-H is a creative output for my imagination." "The thing I like about 4-H is you get to do all kinds of new things and meet new people." 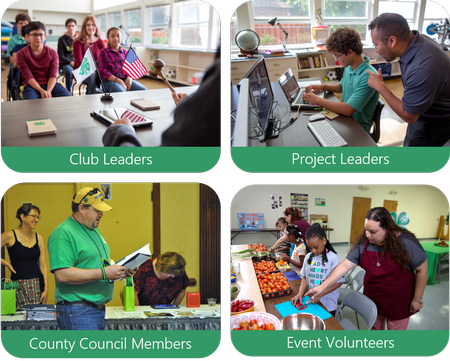 How can I get involved with Orange County 4-H? 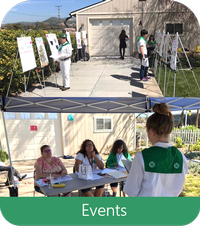 Youth: In Orange County, 4-H members participate in project-based clubs. 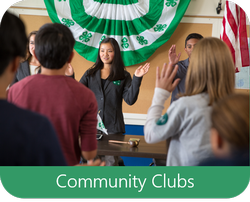 Additional opportunities for members include 4-H events, teen council, and member recognition. Click below to learn more. Adults: There are multiple ways you can make a difference in the lives of youth! Click below to learn more. Browse our handbook for new families or our cloverpedia of common 4-H terms. You can also find more information about Orange County 4-H programming through the navigation menu on the left.